Once upon a time there was a small beetle named Buzz. Buzz happened to be afraid of the dark, along with his friend Dana. With two evil crows and a little magic grass, a problem is solved with the help of a firefly. The story “How a Firefly Learned to Glow” is just one of the many fairy tales that the recently launched book application, Clever Tales, has to offer. Of those applications that I have downloaded and reviewed, this is only the second book app that does not provide an interactive approach to reading. With an iTouch or iPad and a family member, stories will come to life by spending quality time together at the palm of your hands. Clever Tales is a database collection of fairy tales for children ages 4-7 and on, which will encourage positive morales such as love, kindness and the idea that miracles can happen. As you manipulate through this app you will hear kid friendly jazz music that can play while searching the database of fairy tales and/or as you read with your child. What a great addition to ones night time routine of calming music and a good story. There are a number of things that set this book application apart from other mobile book downloads. Clever Tales does not incorporate options for reading or arrows to navigate from page to page. Stories can be read as landscape or portrait, illustrations have a hand drawn appearance to them, text size can change based on the readers needs, and pages scroll from top to bottom. What really stands this book application out is the option to set your iPad or iTouch screen with a day to night view. Want to read at night, but don’t want others to know that you are awake? Maybe you happen to be driving in the car, turn the night screen on and your reading adventures can continue. As a parent and a teacher, I can see this application being implemented in both the classroom and in your home. Like most schools, the genre of fairy tales is discussed in depth. 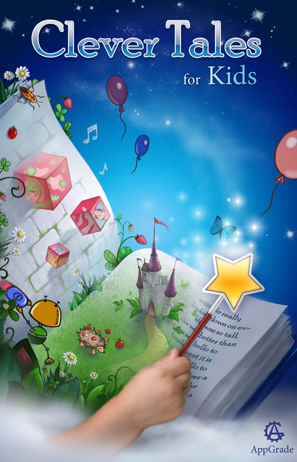 By incorporating this mobile application, students will experience non-traditional fairy tales along with the traditional Aesop, Hans Christian Andersen or Grimm’s fairy tales. As students see various examples, the key components of what makes up a fairy tale are truly understood. Unlike most book applications that I have come across, Clever Tales provides a temporary empty library which can store “Tales From Our Readers.” Why not ask your students to write a fairy tale of their own and one day that tale could appear not on paper but in the next update of Clever Tales for all to read and share. Applicable2U thinks that it would be a “clever” idea to download this application. If you would like to learn more about AppGrade be sure to visit their website here. 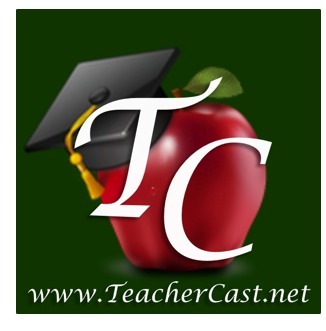 To begin downloading Clever Tales today click here for your iTunes library.